This was a great summer dinner, but fall is my true slow cooker season. 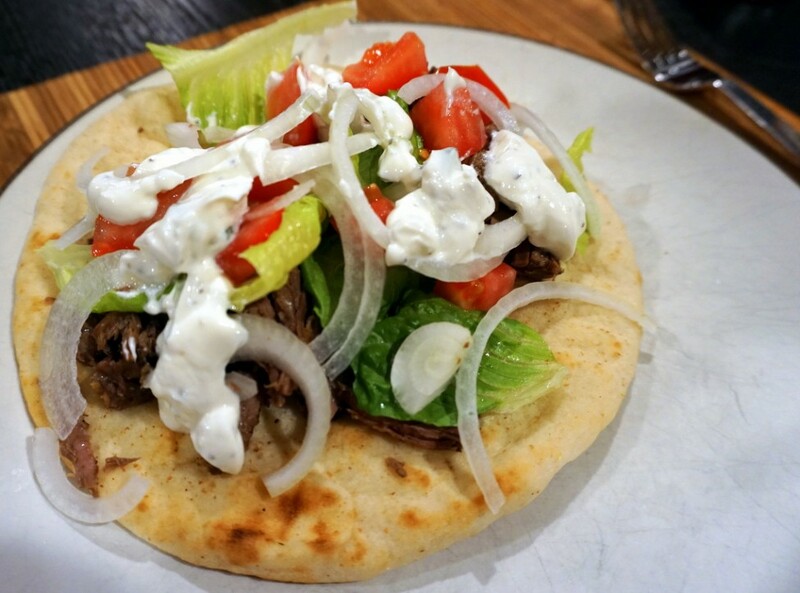 And still, a beef gyro is great for a weekend dinner, when we tend to go out for lunch and eat a bigger meal, then we just graze or throw something quick together for dinner. With this recipe, I can put these on in the morning before the day gets going, and we have weekend dinner for that evening with minimum work. This recipe is from Six Sisters Stuff, and it was straightforward and delicious. I only took one photo of the finished product, but look how tasty. In a small bowl, mix together olive oil, oregano, salt, pepper, and lemon juice. Pour on top of meat and place lid on top of slow cooker. Cook on low for 7-8 hours or high for 4-5 hours. Strain yogurt using a cheesecloth over a bowl or overnight to get out as much moisture as possible (I honestly didn’t even read this step and just used straight Greek yogurt. It was fine). Mix together the strained yogurt, shredded cucumbers, garlic, vinegar and lemon juice. Add dill and salt and pepper to taste. Keep in the fridge until serving, at least 30 minutes.